Keifer (rhymes with deer), is a wonderfully effervescent probiotic cultured dairy product. Think of it as drinkable yogurt, but with a kick. I have made keifer for years with the starter powder, loving it made from coconut milk, but with our recent addition of Coco, our very lovely and affectionate homestead milking goat, I decided to take the leap and order some keifer grains. There are two different ways to make keifer. The first way is with the starter packets of keifer powder that you can buy at your local food co-op, or order online. It is simple and easy to use and I have had great success with the packets forever. They are the best choice for culturing non-dairy milk, like coconut milk. The second way to make keifer is with a grain, (which is not really a grain, but called that because it looks like grains), or culture. The keifer culture/grain is added to fresh raw milk, the best choice in my opinion, and allowed to do it’s thang for 24 hours on your kitchen counter. 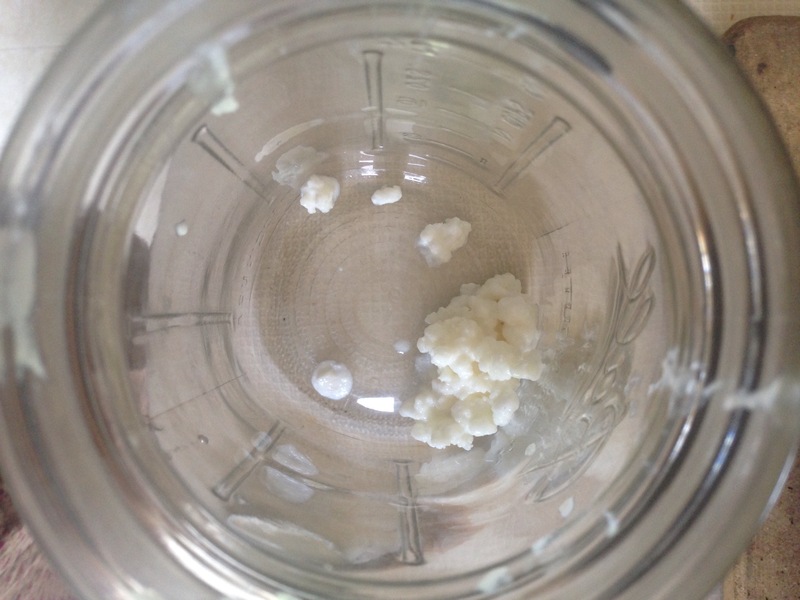 The “grains” are then removed from the keifer and added to a new jar of raw milk to continue the process, much like a sourdough starter/culture. In the case of the powdered culture packet, you must use a new packet for each batch of keifer, whereas the “grains” you just strain them from the fermented, ready batch of keifer and reuse them for the next batch, making a continuous cycle of cultured goodness. The culture will continue to grow so you will have grains to share with friends and family, and eventually perhaps even strangers looking for probiotic loveliness…. Seems like a much more sustainable option to me, so I ordered some up, and now I make keifer every day with beautiful, raw, creamy, fresh milk from the ever fantastic Miss Coco. So why keifer you may ask? My answer is why not. Just kidding. Keifer is a probiotic powerhouse, especially when made from fresh raw milk, but also when made with a freshly prepared non-dairy option. Homemade Keifer has 30-56 different strains of probiotics* nestled into a delicious creamy, dreamy, drinkable delight. You can blend it into smoothies, pour it over granola and berries, make it into the most fantastic cream based salad dressings, or just drink it straight from the jar. Probiotics are integral to radiant health and vibrant energy. They support our internal systems, boost immunity, and give us boundless energy. Probiotics are awesome. They are good bacteria, the good guys, billions of them, and they help our body to heal itself. So, like I said, why not keifer? Making keifer at home is a quick and easy routine to incorporate into your day. It takes less than five minutes to prepare, and the hardworking cultures do the rest. Add keifer grains or powdered culture to 3 cups of the milk of your choice, place a lid on the jar loosely to allow room for gases to escape as fermentation works it’s magic, and allow to sit at room temperature on your kitchen counter or shelf for 24 hours. After 24 hours, if using keifer grains, gently strain out the grains (they will be floating on the top), with a slotted spoon, or strain with a fine mesh strainer. 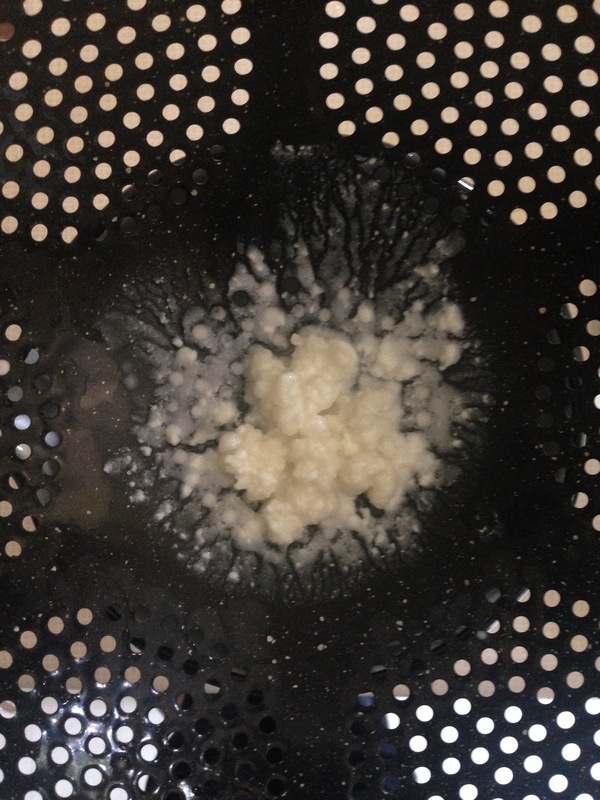 If you have cultured with the starter powder, all you need to do is put the lid on tight and refrigerate, use in a smoothie, on your granola, pour over berries, or drink and enjoy. Simple. You should know that the store-bought, commercially prepared keifer has significantly less of good bacteria strains, which is better than none, but not exactly worth the money. The sustainable option, as well as the most beneficial option, is to make it at home, or source it from someone who does. Check your local farmers market, or your homesteading neighbor. Oh, and you should also know that in comparison, commercially prepared yogurt only contains 7-10 different strains of probiotics. * Let me remind you that keifer has well over 30 probiotic strains. It is a delicious powerhouse. Adding Keifer into your diet will allow you to live vibrantly, wholly, and help your body to stay balanced and heal itself naturally. Begin your journey to radiant wellness and start your keifer today. If you are looking for keifer starters here are my favorite sites for ordering online. These are not affiliates only resources for you. I have ordered from both of these sites, the first is the author Donna Schwenk’s website, who wrote Cultured Food for Health, A Guide to Healing Yourself with Probiotic Foods. The book is awesome, I love Donna’s energy and story of how she healed herself and her family using cultured foods. I ordered my keifer grains from her, they are a bit more in price, but come directly with love from Donna’s kitchen to yours. Well worth supporting another mama who is sharing her healing journey with others to uplift, inspire, and promote healing. The second site is a very well-known site for all things cultured. I have ordered with success from them as well, keifer starter powder, and sourdough culture. Both sites will get you fermenting in no time! Yes! Do try, it is SO worth it!!!! Blessings to you as well Barbara!